We pride ourselves in being an all-inclusive group where nobody gets left behind by themselves. These “runs” are very social with frequent stops every few minutes. If you don’t know the route and you’re looking to run off the front, you’re probably going to miss some turns because ‘someone’ will let you run the wrong way until you clue in to look back for the rest of the group! Please have read through our ‘suggested gear’ list before coming out. Make note of our “Lefty’s” nights every 6 weeks or so! *All runs start at 6PM…all year round! *This is a group run, so that means we all stick together. If you run off the front and miss a turn, you’re on your own. *Bringing a pack with food/drink, jacket, headlamp, etc is recommended. April 11 – 30 Indian River Road, Head of St. Margarets Bay + LEFTY’s, so bring a change of clothes! Jan 2 to Apr 2 – Hill Repeats…trail conditions permitting. Location: 15 Station Road, Head of SMB. 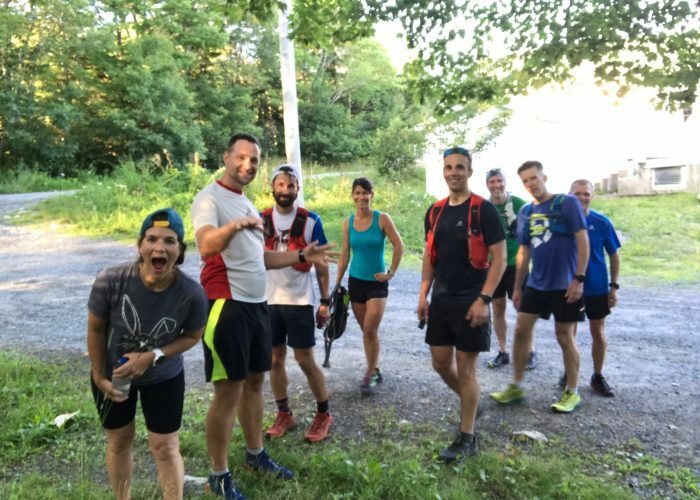 2019 Nova Scotia Trail Running.